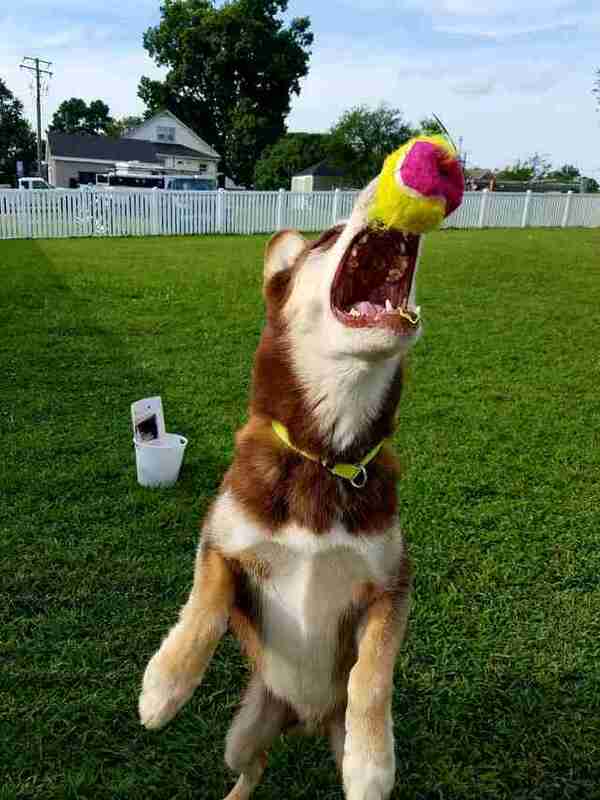 Shelter dogs would be so happy if everyone did this! 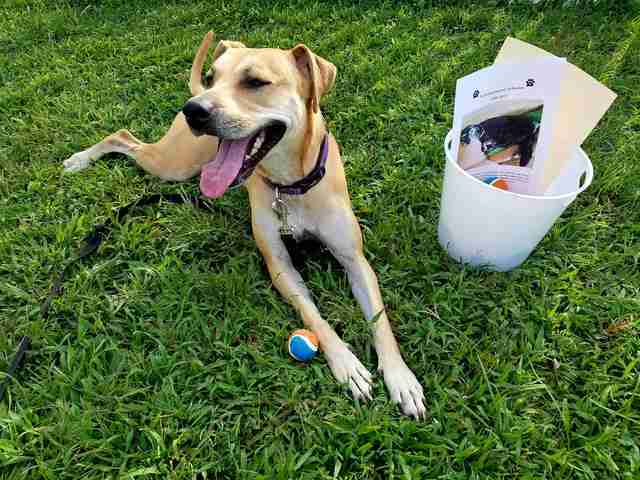 A family who wished to remain anonymous came into a shelter in Fredericksburg, Virginia, this week with a bucket full of colorful tennis balls. They didn't want a lot of credit or attention — they didn't even leave their names. 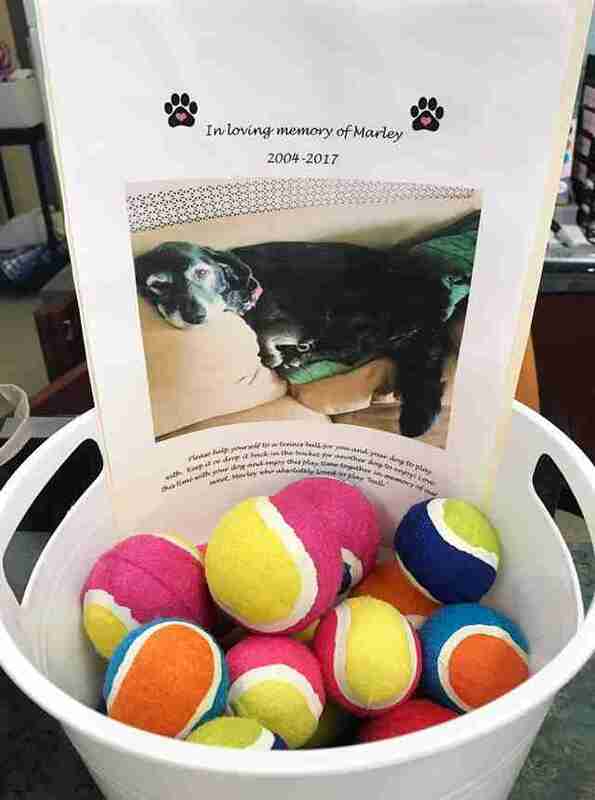 The family just wanted to do something good for shelter dogs in memory of their beloved dog, Marley, who recently passed away. Along with the gift was a photo of Marley, and the years she lived her life: 2004-2017. And there was also a little note with a few words of advice to other dog lovers. 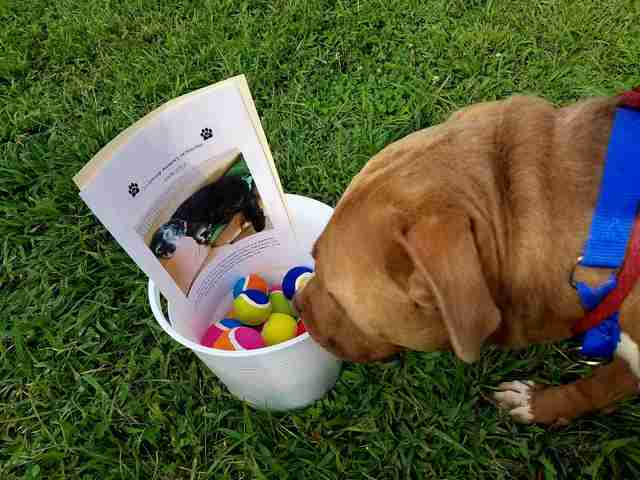 "Please help yourself to a tennis ball for you and your dog to play with," the note said. 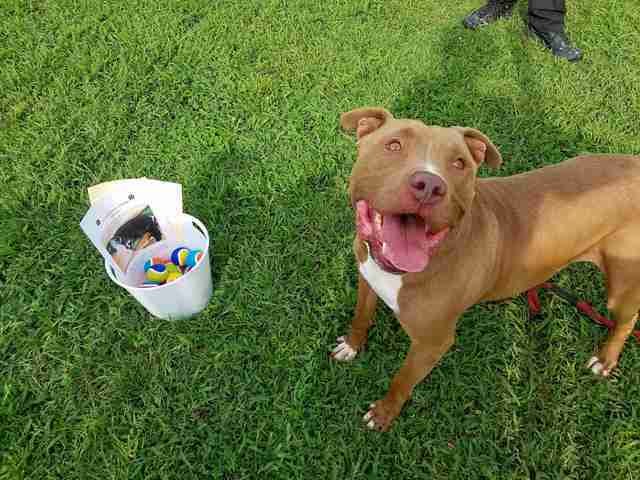 "Keep it or drop it back in the bucket for another dog to enjoy! 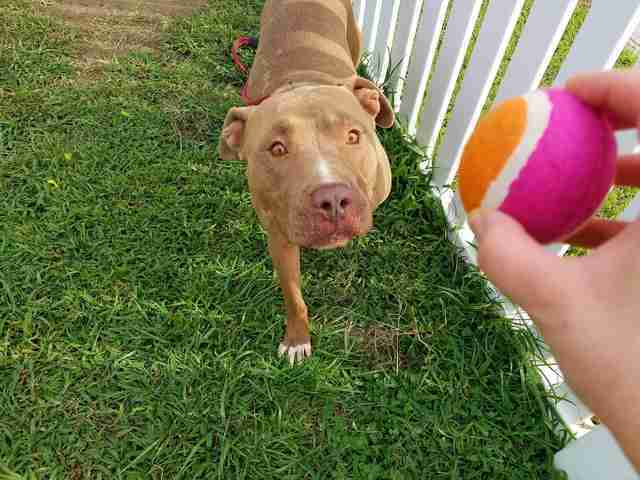 Love this moment with your dog and enjoy this play time together in memory of our sweet Marley who absolute loved to play ‘ball.’"
The shelter staff members at the Fredericksburg SPCA are making great use of the donation, helping its adoptable dogs play and socialize while they wait for their forever families. 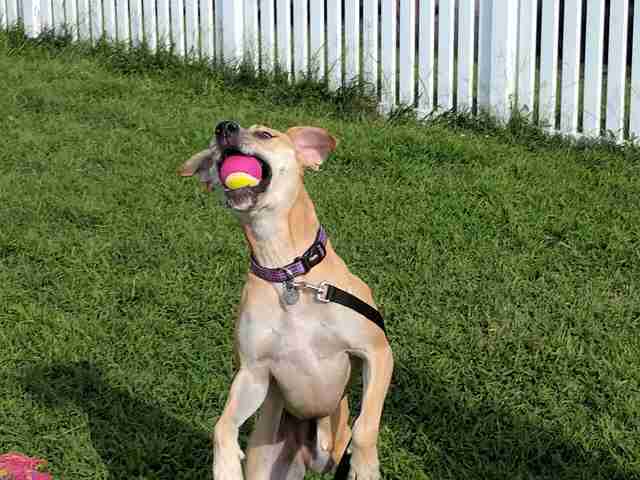 "Marley loved to play ball and her family wants other pups to have some fun too!" 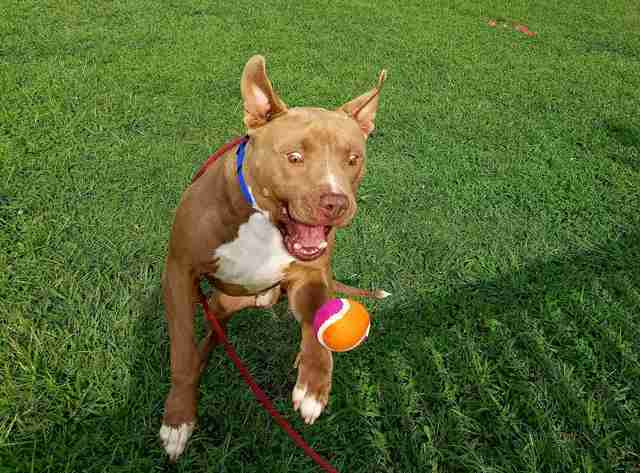 the shelter wrote on Facebook. Just imagine how happy so many shelter dogs would be if this became a common way to memorialize beloved family dogs. 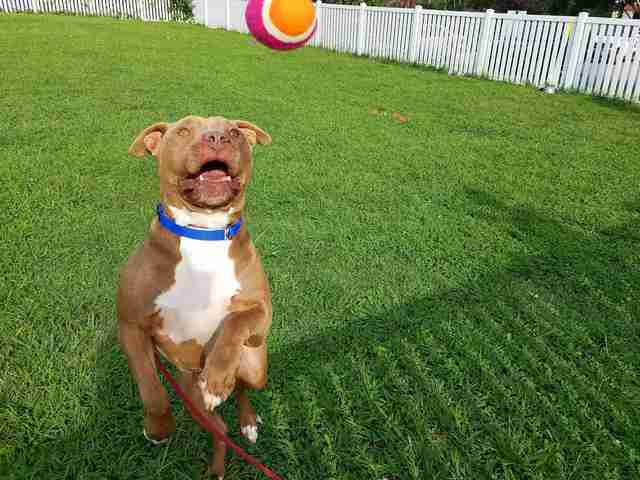 Considering there are over three million homeless dogs entering U.S. shelters every year, there's always a dog out there looking for a way to cheer up. 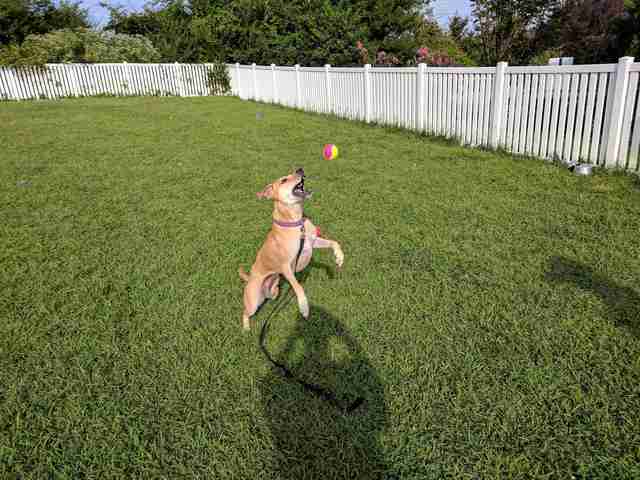 If you think you can give a shelter dog a forever home — and all the tennis balls he'll ever want — try visiting these dogs at the Fredericksburg SPCA or at Adopt-a-Pet.